DE is not earth or dirt. It is the fossilized remains of microscopic shells created by one-celled aquatic plants (diatoms). 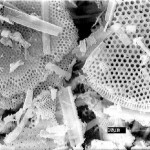 Over the eons, as these diatoms fossilized, they retained their tubular shape and holes. Their shape and hardness produces extremely pure and consistent DE. There are different grades of DE. When buying it is important to get FOOD GRADE DE. The DE sold at Willow Health Food & Wellness Center is rated food grade by the USDA and GRAS (generally regarded as safe) by the FDA. 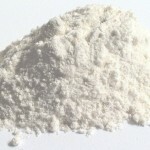 It is almost pure white and consists of 89-94% silicon dioxide (also called silica) plus trace minerals. DE is used internally for two reasons, first for immune system support and secondly as a parasite detox and cleanse. DE should eliminate most parasites with one week to 10 days when taken daily. It does not affect eggs to it should be taken an additional 30 to 60 days to destroy newly hatched parasites. DE is approved by the USDA for feeding to animals. This is an excellent way to rid your pet of the parasites they are so prone to pick up. For best results, DE should contain 85 to 92% silica. Taking DE with a little organic apple cider vinegar will make the silica more readily available.